Rock music biopics are all the rage now thanks to the $1B+ box office and Oscars success of Bohemian Rhapsody, so it was inevitable that someone would make one about "The King" himself, Elvis Presley. And who better to do it than Baz Luhrmann, whose affinity for musicals is well-known as is his ability to attract top stars. Turns out he's already got someone in mind for a key role. 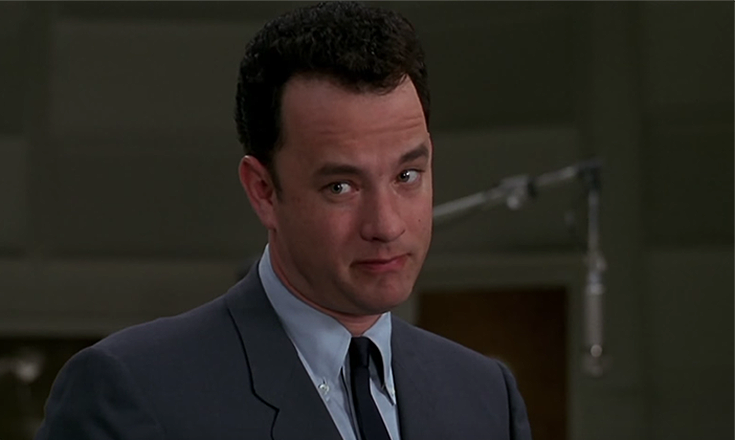 Tom Hanks is reportedly in talks to play Colonel Tom Parker in Baz Luhrmann's biopic. Parker was Elvis Presley's first manager and a key influence in shaping his career. Known for being a shrewd businessman, Parker was willing to do anything to get headlines for Presley. When the musician was drafted into the Army, Parker saw this as an opportunity to boost Presley's image, which it did, and even encouraged his being stationed in Germany. Hanks played another shrewd music exec in 1996' That Thing You Do!, which he also directed. Biopics are sort of his thing, and he has another one coming up with A Beautiful Day in the Neighborhood, playing Fred Rogers.